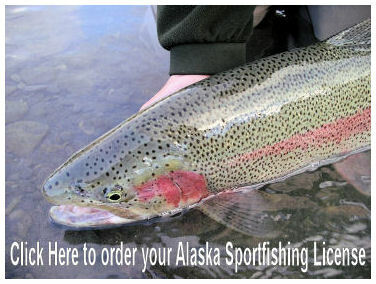 Expert fly fishing guides for Rainbow Trout, salmon and char on Alaska's Upper Kenai River. 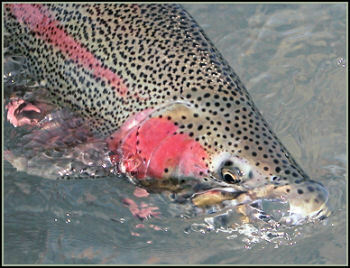 Also seeking trophy-sized Rainbow Trout and King Salmon throughout the Lower Kenai River. Featuring 20' Custom Drift Boats. The Upper Kenai River in Cooper Landing Alaska, has been our backyard for many wonderful fishing seasons. We live and breathe with the Kenai River. If you are interested in learning about the fly fishing opportunities the Kenai River has to offer, take some time to look around. You will find an introduction to the Kenai River Guide services offered by Mystic Waters as well as some valuable information about Kenai River Fly Fishing. Whether you choose Mystic Waters or not, we are always happy to discuss Alaska fly fishing. 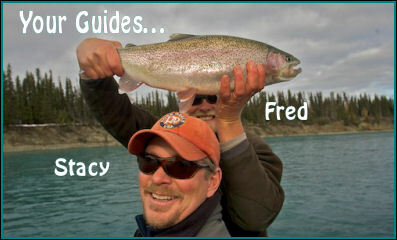 If you are looking for guided services, then we’ve got the Kenai River Fly Fishing Guide trip for you. Check back from time to time. We will continue adding more photos, stories and informative content to this site when we are not out fly fishing Alaska’s "Mystic Waters". Tight Lines and Great Fly Fishing!